Mums, the best part of our life. Moms need to be organized and track all the records of their children for the sake of their health and wellness. 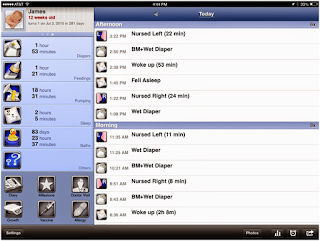 There is no need to maintain a diary for different kind of records or be rushed about any other difficulties, there are many apps given for IPhone and Android platform; this is obvious that every mom and to-be-moms must have mobile phones with them so use your device for some good purpose. 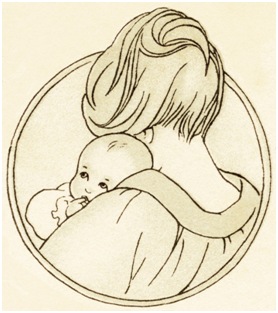 There are mom-specific applications available for our lovable moms. It can be anything from tracking periods or choosing baby names, apps have something for anyone. Being organized with being a working mom is difficult and a big challenge, there are also productivity apps provided that will make your whole life easier. In this post, we are going to mention some of the apps that are really great for moms and to-be-moms which will help you in almost every task of yours. 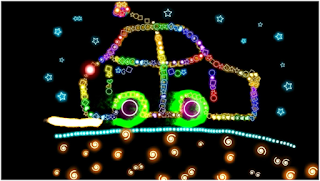 Doodle kids is an application available for IPhone and Android device, it can help in teaching your children about how to draw shapes and fill colors on screen. This application idea was first given by Lim Ding Wen in the age of 9 years. Doodle kids is a painting program useful for children. It will create random shapes with random colors to create beautiful effect, tap with two fingers to remove whatever is drawn. 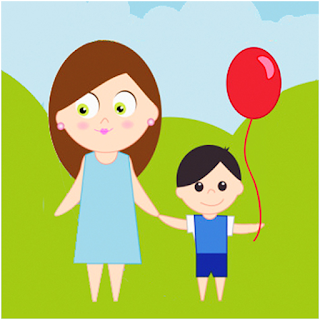 It is a free application, so install this application and teach your children. 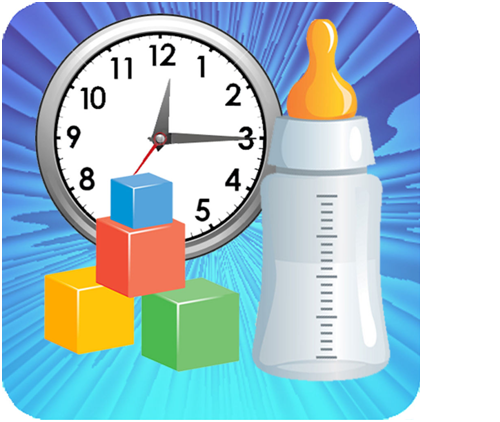 Total Baby App is an application totally designed for moms who can keep track of feeding, diaper change and sleeping patterns. It is so useful if you are sleep deprived and cannot remember what you did 5 minutes ago then surely this is your app. It is paid app and you have to pay only $4.99 in the beginning and this app will be yours. - It contains 14 different timings, tracking and logging functions. - You can keep record of diapers changed, bottles fed and sleeping timing. - All timers will automatically get off if you forget to turn them off. - It holds unlimited data. - It backups and restore your important data on your Wi-Fi or a computer browser. Mom maps is an application which helps you in finding the nearest places for kids to go, you can find kids playgrounds, museums or any parks. There are also reviews given for every place by parents so that you can easily find out which place is good for your children. 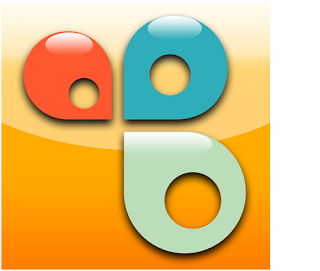 - You can save and bookmark your favorite locations. - You can easily access multiple reviews. - You can view and upload videos. - You can submit your views and ratings or photos as well. - Share your favorite place on Facebook with your friends. You have a baby but you still want to sleep peacefully without any other baby crying noise and want to relieve stress then install this application and have a quiet sleep, it reduces stress and relaxes your mind. It includes different soothing sounds that helps you and your baby to sleep without any distractions. - 40+ sounds available and also you can download other sounds from white noise market. 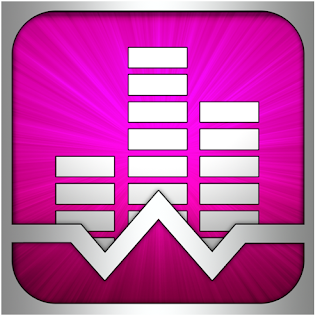 - You can create new sounds by combining different sounds together. - It is designed to work on all android devices and tablets. - Advance alarm and timer system. Baby connect is the no: 1baby tracking application on the AppStore, it contains graphical reports with weekly averages, medicine vaccines, notifications and timers. It has an easy to use interface and hold an unlimited data.It also syncs all the information with your spouse or babysitter. All the information is saved on your account within the browser so if you change your phone or lose it, you will have all the data with you. - You can track doctor visits, medicine and vaccines. - You can easily view past entries. 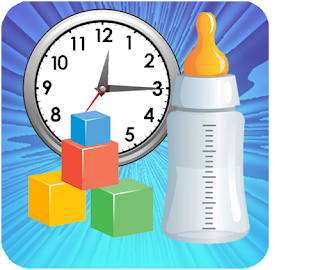 - Display graphical charts of baby’s activities. You can keep your family organized by using this application, it is the award winning for best family app. It helps you if you want to manage shopping lists, it can be your family journal or a color-coded calendar. - You can send agenda of upcoming week to any member of the family. - You can set reminders for any important event. - You can add appointments that every member of the family can see. - You can keep all the recipes in one place. - No matter from where family member has signed in, you can easily check all the information. 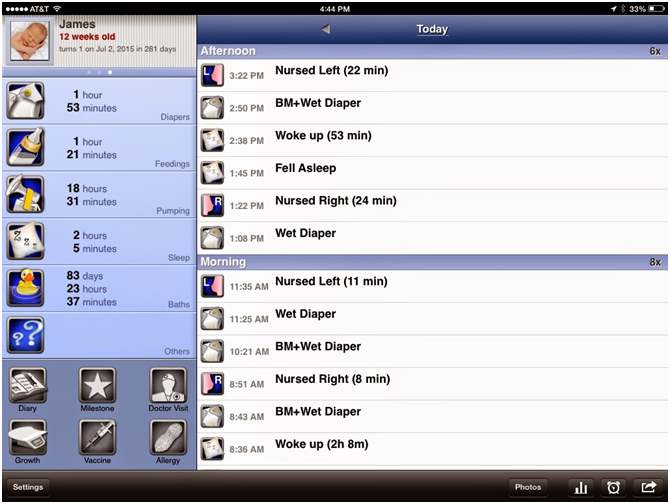 An application for the mom to be that keeps you aware for a healthy pregnancy. You can create your personal birth plan or track your new baby’s feeding, sleeping and growth. - It gives you tips on choosing the right care provider. - It calculates your ideal weight gain. - It can create a birth plan for you. - It also includes baby budget calculator. - Builds an activity plan which will keep you moving during pregnancy. These applications can help you if want to be productive mom and wants your children to live a healthy life, these applications keeps track of almost everything. Message: I hope that you have enjoyed '7 Must Apps for Mums and to-be-Mums' article. However, if you want me to deliver more items, then please share my post. You can use Social Sharing Widget provided at the end of every post. After all, Sharing is Caring!